It's time for another retro dress rundown, but this time instead of bringing you the obvious styles (everyone knows where to get a polka dot halter dress by now, right?) I've scoured some of our favourite independent brands, our go-to retailers and popular high street shops for some slightly newer and more unusual retro dresses that you may not have seen yet. ASOS has pulled it out the bag in dramatic style with this pink satin number (£95) a new version of their omnipresent 'Bardot' off-the-shoulder style. The attention to detail in this is incredible, there's elastic through the back to ensure a good fit, the panels across the bust and the band around the waist give structure, and the pleats mean there is a lot of skirt to twirl. Over at one of our affordable retro favourites, Lindy Bop, there's a whole host of new prints available in their popular shelf bust style, including this pink and orange print (£35). This look works particularly well on those with smaller busts, but give it a go if you're D+ too. You may surprise yourself! Vivien of Holloway also has a new style for Summer 2014, this halter sundress (£89). Consider it slightly more wearable daytime version of their full-skirted halter dress, with a softer skirt and less restrictive bodice. It borrows the big white-trimmed pockets from the now discontinued Peggy Lee style, and adds a matching trim at the bust too. If you prefer your dresses more bombshell and less Jive Baby, head over to Deadly is the Female for this cherry printed dress (£95). The wiggle dress style is always a classic, letting you channel Marilyn Monroe in The Misfits. It also comes in a floral print if you prefer. 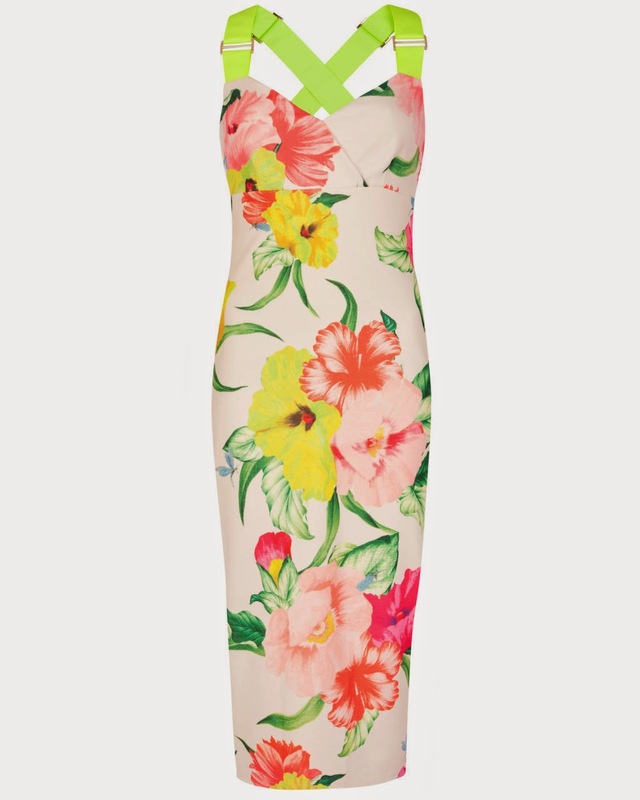 On the high street you can get the bombshell look with this baby from Ted Baker (£149), which is crying out to be worn with carved tiki wedges and pincurls for cocktails somewhere hot and exotic. The length and fit are pure pin-up girl, but the seatbelt-style straps give it a more modern feel (fashion factoid: they're fresh from the Victoria Beckham catwalk). 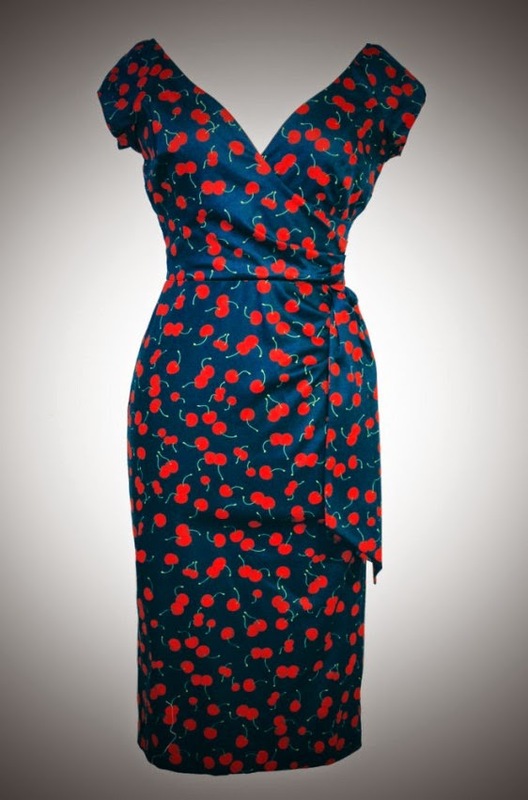 Lovers of all things nautical should get themselves over to Collectif, where the Francesca dress (£75) is my top pick. Switching out the stripes for a plain colour on the top half avoids the whole "do stripes make me look bigger" issue (even though they don't) and give the illusion that this could be a skirt and top (you can actually get this as a separate skirt, as showcased in our all-things-stripy post). There is only one thing to wear this with, and that is red wedge sandals. Trust me on this one. 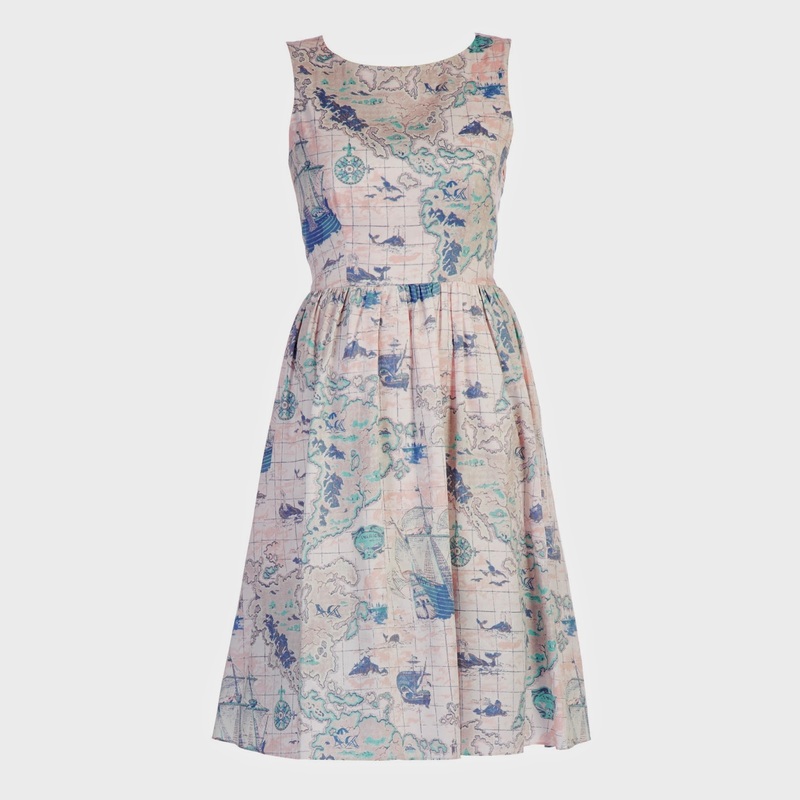 Heading back into the high street, and we have Laura Ashley's pretty map print dress (£59.50). A friend Instagrammed this recently and I instantly went on the hunt to find it. I am a sucker for retro prints like this, which have a handmade look, and I know many of you are too. This would be great for laid-back Summer weddings or picnics. Or indeed just dancing around your kitchen pretending you're in the 1950s. 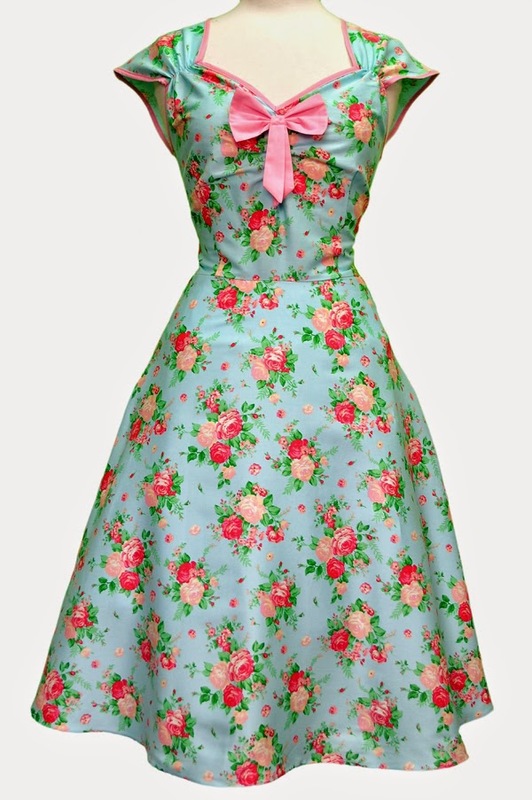 Over now to our good friends at Lady Vintage, who can always be relied upon to produce pretty dress after pretty dress. The latest crop of Isabella dresses (£45) come in some lovely Summer florals to go with the many polka dots already on offer. There is nobody that this cap-sleeved shape doesn't suit, and if the bow is too much for you, you can always take it off! Don't be fooled by the cheesy photo (and badly-matched belt), this F&F prom dress (£30) is actually a real winner. Close up it's well-made, has pretty detail around the bust, and looks like it cost a lot more than it does. This is the latest in a long line of colours to be offered, so if yellow's not for you, don't lose hope. 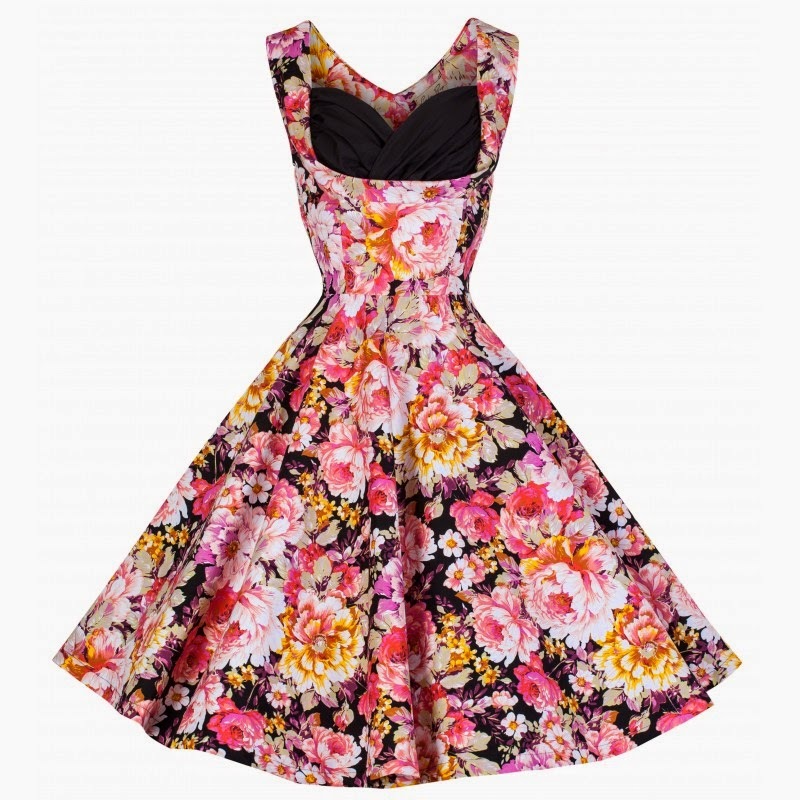 There's also an aqua version and a pink floral dress in stock now. Finally we head to Phase Eight for a fabric that really does look like it might come from days gone by. 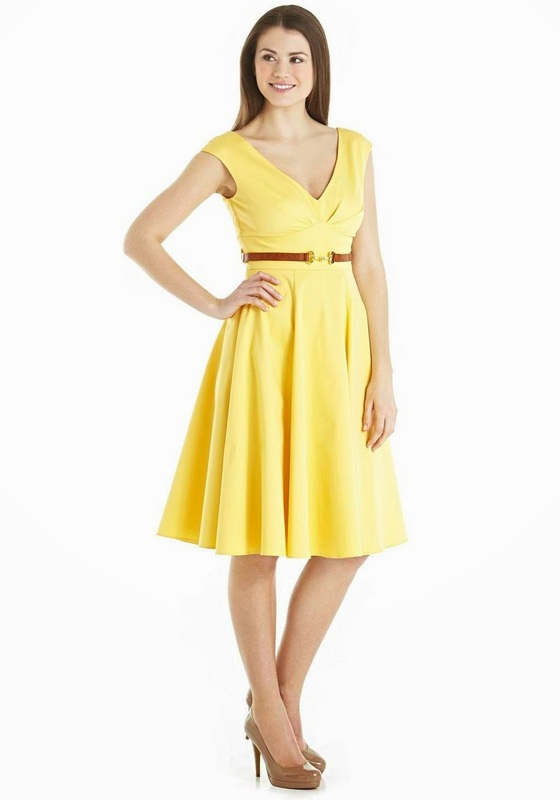 This is a real fifties housewife dress (£99), right down to the matching tie belt. For the full effect, add a headscarf, cats eye sunglasses and white sandals. You know you want to! Oooooh, I love them all but that map print dress is definitely my favourite. Me too! I can see why you had to try and hunt it down Gemma - such a gorgeous print. There's some debate in DS HQ about whether or not the purple satin is too 'Quality Street' but I love it. NO SUCH THING AS TOO QUALITY STREET. YES THERE IS (I'll let you know when you reach 'peak Christmas chocolate'). Those are gorgeous dresses. The second one with the flowers is my favorite. Oooh the cherry one is lovely! 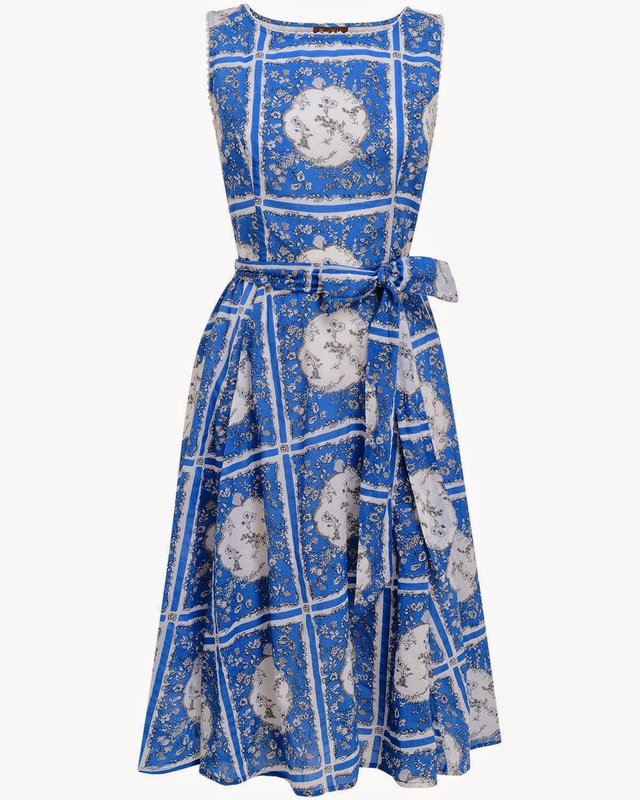 The Laura Ashely map print dress has now gone up in price to £85! What on earth? !